The £79.95 Emmi-dent launched in the UK last week and makes a staggering 86¿million sound waves per minute – using only these to clean teeth. Manual toothbrushes have long been replaced by whizzyelectric versions boasting super-fast vibrations and expensive whitening heads, but the technology has remained the same – abrasive particles in toothpaste rubbed against the teeth to remove plaque. 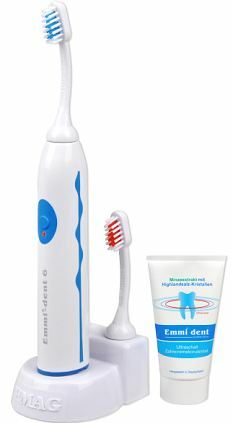 But now a new high-tech product is going a step further: meet the world’s first 100 per cent ultrasound toothbrush. Admittedly some ultrasound technology has been incorporated into electric designs in the past, but this is the first time it has been used alone, requiring no movement of the brush. And, while a sonic toothbrush such as Philips Sonicare makes 31,000 sound waves a minute, the new £79.95 Emmi-dent makes a staggering 86 million per minute and uses only these waves to clean the teeth. The manufacturers claim the ultrasound waves emitted cause millions of tiny bubbles to form in the special £3.99 toothpaste you have to use with it. These bubbles are small enough to get between the teeth and into the gums, where they implode, killing bacteria and dislodging tartar and food debris. This means you don’t have to use a conventional brushing motion. The technology also kills any bacteria left on the brush head. The Emmi-dent launched in the UK last week, but can it really work? Because you can’t feel ultrasound, the company has added a vibration to the brush to reassure you it’s working. I coated my teeth with the special toothpaste, held the brush motionless over each tooth for five seconds. 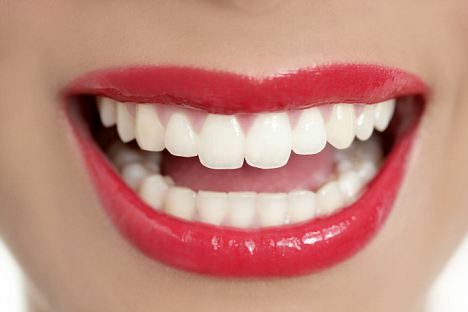 After six minutes – you have to hold the brush over all surfaces of each tooth for between five and 15 seconds – I rinsed and, to my great surprise, realised my teeth felt squeaky clean. But Professor Damien Walmsley, of the British Dental Association, says proper tests need to be done to prove the efficacy of the brush. ‘The most important factor in maintaining good oral hygiene still remains regular brushing with fluoride toothpaste and avoiding excessive consumption of sweet or acidic food and drink,’ he says.